Previous post: What Kind Of Reader Are You? So, I ran across this truly engaging conversation on FSG’s blog between writers Nathaniel Rich and Robin Sloan about the future in Fiction. It’s tempting to think of future in fiction as belonging to the realm of sci-fi, but Sloan and Rich are asking us to reach beyond prophetic vision into an understanding of the future that is influenced by our understanding of the present. Here are some tantalizing quotes from this conversation. 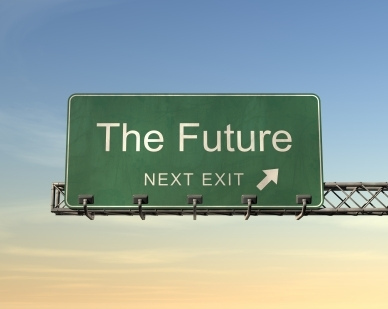 I think it’s important to stipulate that “the future” doesn’t mean Star Trek. Our novels both deal with the future, but they also both unfold in a very recognizable mid-twenty-teens milieu, a sort of 21st-century future-present. So, “write about the future” can absolutely mean “write about this year,” as long as the writing has that forward-leaning stance, like a runner falling into her first stride, slightly off-balance. Literary fiction, as a genre, is (I think) really remarkably agenda-free. It tends to be personal, humane, grounded in real experience. There’s something useful there—or at least it would be useful if, as a genre, literary fiction didn’t totally ignore the future! I’m overstating for effect, but I really do believe literary fiction as a genre is more backward- than forward-looking. I suspect it believes in inevitability more than contingency. I fear it prefers memories to plans. You know the story: a family secret, buried for years, finally comes to light—of course it does—and leads to tragic consequences—of course it does. This observation made me laugh out loud in a morbid sort of sense, like this is really an inside joke for literary writer to literary writer. Literary fictioneers do pride themselves on being cliche-free, don’t we? And yet, ugh, I do think that the above paragraph captures a great deal too much about the tropes that do exist in literary fiction. Shameless plug here: I kind of want to pat myself on the back for my story collection Safe in Your Head, which looks at the past and the future as inevitable interconnectedness. We go through several eras of what happened to one family, and why it happened. The future and the past occur simultaneously and therefore the story collection jumps seamlessly between time periods in a chronology that is emotional and causal rather than temporal. Time is only a unit of measure. Whatever we do now affects what will happen tomorrow, and therefore there is a kinetic energy exchange that happens between the present we live and the future we create, which means, inevitably, that the past is complicit in the creation of our future; and the way that we perceive our past is also influenced by the circumstances surrounding us as we look back — that is, the past is also influenced by the future. It reminds me of a statement made by a famous guru (was it Ramana Maharshi or Yogananda? ), “If you want to predict your future, just have a look at what you’re doing now.” (I’m paraphrasing). Another favorite saying of mine: the definition of crazy is a person who does the same things over and over expecting a different result. And I think that literary writers should (and many of them do) look to the past and present with equal eagerness as they look to the future. What I intended with Safe in Your Head was to suggest and hint to the future as we look back at how one man’s choice causes ripples in time that, directly and indirectly, affect people for generations to come. If you can understand this principle on the individual level, how much more powerful it is to observe it on the global level! Thus, the recurring theme of war and violence, but also, of healing and hope. I’ll offer a disagreement without much of a difference: I don’t think the novelist is under any obligation to write about the future. But I think that novelists should try to make sense of the time in which they live—it’s unavoidable, really—and we are living in an era that is more obsessed with the future than any previous generation in the history of the civilization. It seems almost impossible, therefore, to write eloquently about our time without writing about the future that we imagine for ourselves. The subject of climate transformation offers a perfect example: it’s a looming anxiety about the future that seeps into our everyday lives. Amen to that. What about you? What do you expect from your novelists? Do you want them to explain the future to you, or are you better satisfied examining the past and present? Definitely check out FSG’s blog. Lots of great stuff there of interest to writers. hmmmm…intersting thought and I agree with John. At the end it is the story that count.